Deep fried flavor made healthy! 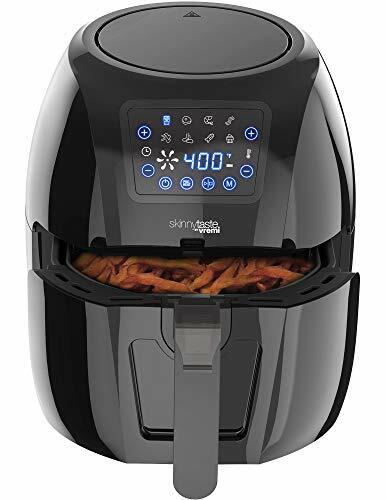 The New House Kitchen digital air fryer uses rapid air technology to produce dishes with a crispy fried Texture using little or no oil cooking your favorite foods faster, healthier, and to perfection. 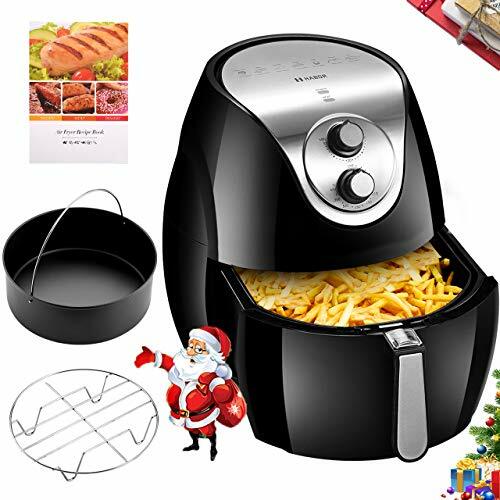 With this truly versatile air fryer, you can cook fried or roasted food, as well as bake a full range of delicious healthy dishes. 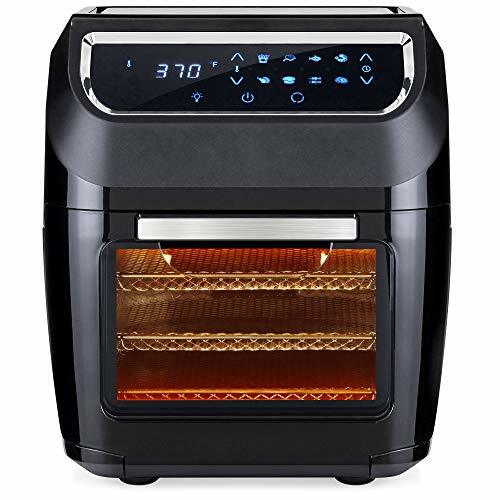 The digital temperature control has a 30 minute integrated timer that lets you air-fry everything from frozen vegetables to pizza rolls, chicken or fries, and even re-heat dessert! Includes a space-saving flat basket that increases Capacity by 40% without adding to the footprint. The detachable flat basket, cool-touch exterior, and auto-shutoff features ensure added safety and security. 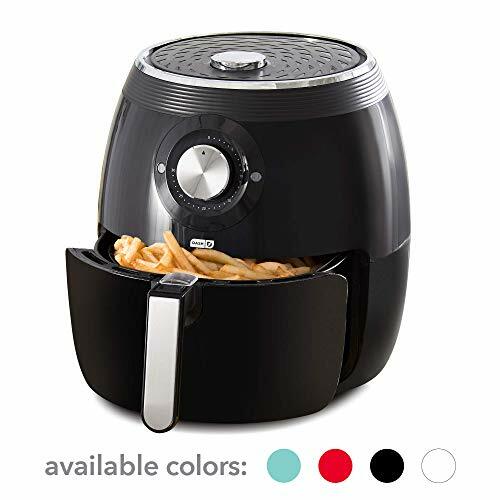 Large 6.5-Liter frying basket is removable and dishwasher safe so your meal is as easy to clean as it is healthy and delicious. 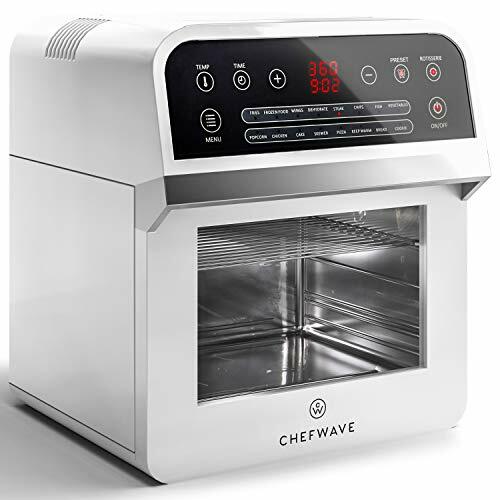 ADJUSTABLE: Temperature range from 180-390 degrees allows you to cook at your desired temperature, achieving a healthy, crispy, fried finish using at least 80% less oil than traditional fryers. To switch between Celcius and Fahrenheit, hold down on the temperature button for a few seconds. 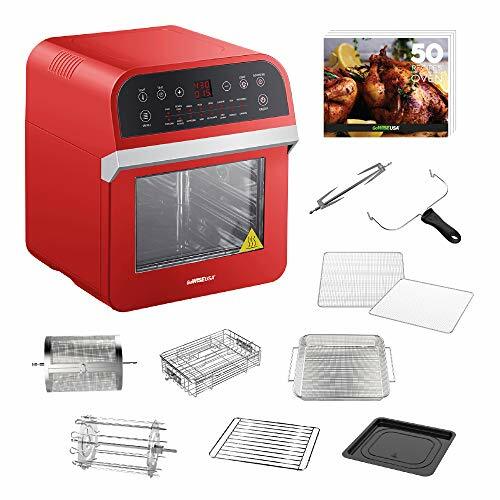 VERSATILITY: Digital temperature control & 60 minute integrated timer let you air-fry everything from frozen vegetables to pizza rolls, chicken or fries, and even Re-Heat yesterday’s dessert! 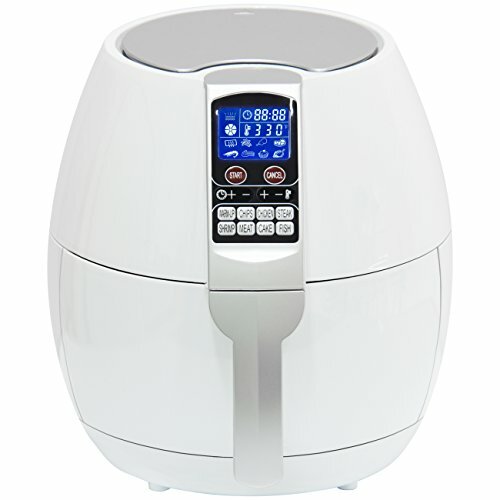 Achieve the perfect results for a wide variety of foods, with little or even no oil. The detachable flat basket, cool touch exterior and auto-shutoff ensure added safety and security. 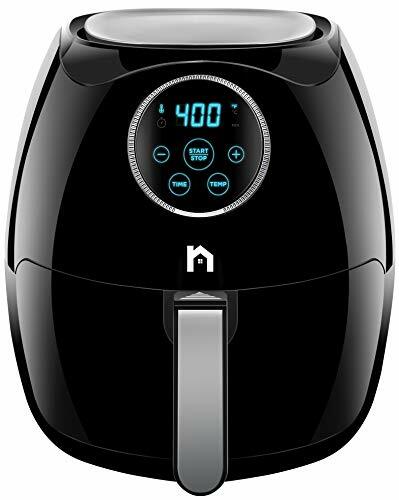 1 YEAR LIMITED WARRANTY: 30 day Money-back Guarantee, & 1-year Hassle-Free warranty provided by New House Kitchen.